It has been such a fantastic year. 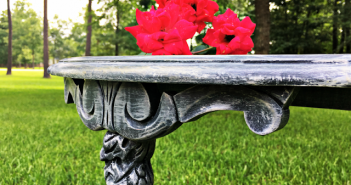 I never in my wildest dreams would have thought that sharing my little curb shopping secret with you precious readers and the world would fulfill me beyond what I ever dreamed. Even better, I never expected to call my blog readers “friends” but definitely feel that way now, thanks to all of you. Most popular Curb Alert! projects of all time 2012! My Repurposed Door Mat made into a Return Air Vent decorative cover. I love the simplicity of it and the way it has made our hallway AC vent much more tolerable. 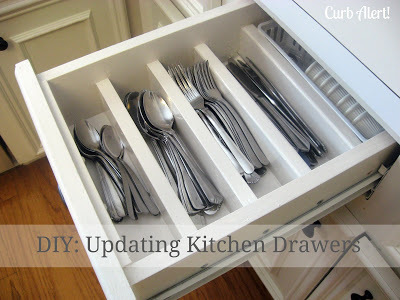 The second most popular post was: Updating our old Kitchen Drawers. I was determined to get out the power tools and pretty excited that I figured it all out myself with no cursing, cut body parts or mishaps. 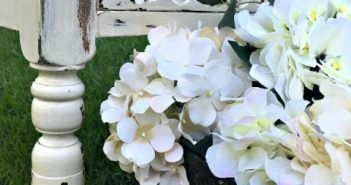 I was also proud that it caught the attention as one of the top contenders and was considered for a feature in Cottages and Bungalow magazine. I was not chosen but pretty honored and was a great stepping stone for my tutorials and photography skills. You can go check out the tutorial too, give it a try! 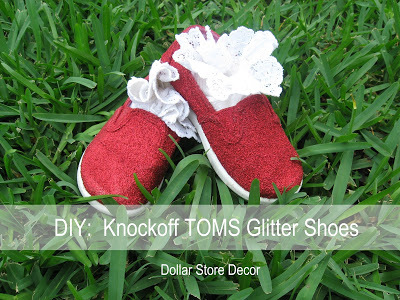 My DIY: Knockoff TOMS Glitter Shoes were unexpectedly quite popular. It was a simple solution to bling up some dollar store shoes for my toddler and she still loves them! 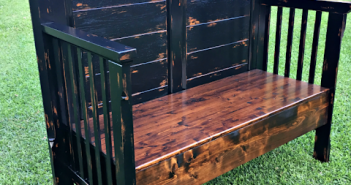 I worked very hard on it and love the results. If you missed it you HAVE to see how ugly it was before! Another fun project was the Tomato Cage Topiaries that I made out of garden tomato cages (found on someone’s curb) and greenery from Dollar Tree! This project has really given a big bang for the buck and came in around only $30! I love how versatile they have become all year and especially looked festive all lit up for the holidays. 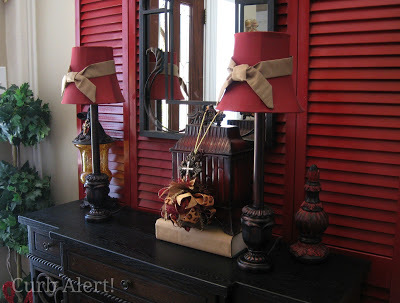 Red Shutters in the Entry Way! I got them for free from a sweet neighbor – can’t beat that! Can you tell I love the color Red? It just makes me smile! 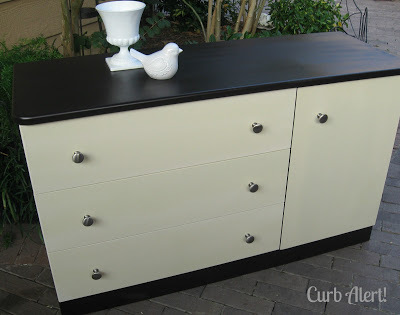 That same sweet neighbor commissioned me to make over an ugly pepto-bismol pink and yellow dresser into a Nate Berkus inspired cabinet that she saw on his show. 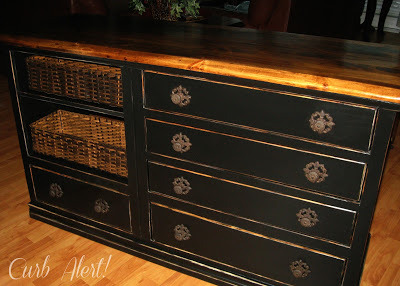 My three year old thought we were calling it the “Naked Bird Dresser“, hence the name! teeheehee! 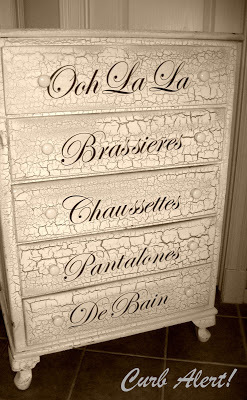 My Blah to Ooh-La-La Dresser! Those were your favorites based on blog pageviews and comments and now I will share with you my favorite. 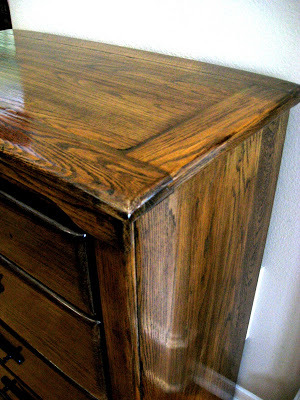 The Dark Walnut Gentleman’s Dresser. I love that it was a beauty in disguise. When I began the project I had NO IDEA of how beautiful it would turn out. Oh wow! There are so many more projects that I have shared and it has been fun working on Every.Single.One.Of.Them. And better yet…most of them are from items that I have found on the curb or next to nothing. Free-Ninety-Free as my sweet friend would say! Thank you, Thank you so much for following along my adventures this year. I hope to find a lot more and share them with you. ~ Tami @ Curb Alert! Next Article Countdown to a New Year! I had my first Curb Alert moment and i totally said CURB ALERT when I saw it. Driving to my parents house I passed by a complex of office buildings and there was a beautiful beautiful fake ficus tree sitting right in front of the dumpster. Score! It's been a real pleasure following along with you as you transform trash to treasure this year! I am so glad that 2012 has been a sucessfull year for your blog. Apparently I am not the only one that likes it. Tami, what a fun review! You also had a very busy year! I loved all your projects and I am looking forward to seeing what you do in 2013. Happy New Year, my friend! its been great following your blog, you are very talented and gifted, look forward to seeing your creations in 2013 !!!! Tammi those all are fabulous! I love you PB wanna be dresser. It turned out amazing! Happy New Year my friend! Great projects … so much inspiration! I have to go check out some of the other posts. You had some rocking projects lady! 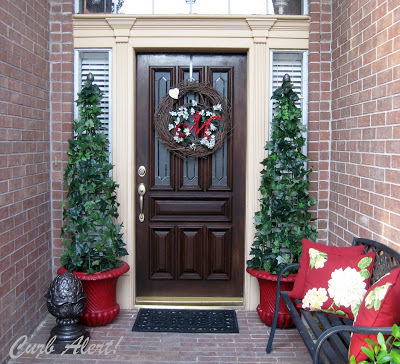 I remember those red shutters. They were a fav of mine for sure!